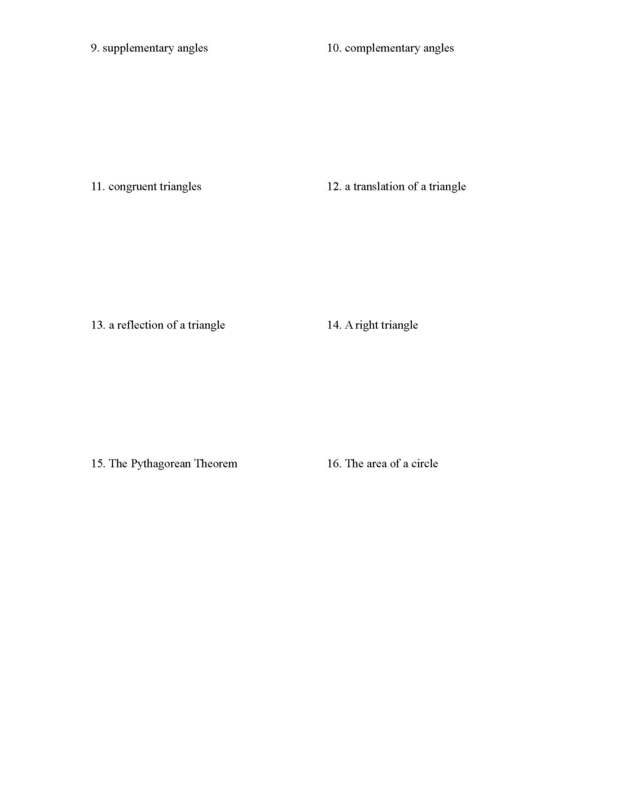 … in geometry, for the first month. Right at the beginning of geometry I want to focus on helping students draw conclusions from diagrams and given information. Plus I have done a lot of programming and have a natural love for the IF THEN statement. IF this THEN what? So we got a piece of information – what does it do for us? What does it tell us? And since the IF THEN is not on my main whiteboard (my main one is the big one on the right of the picture above), I have no problem leaving up my IF THEN all the time. 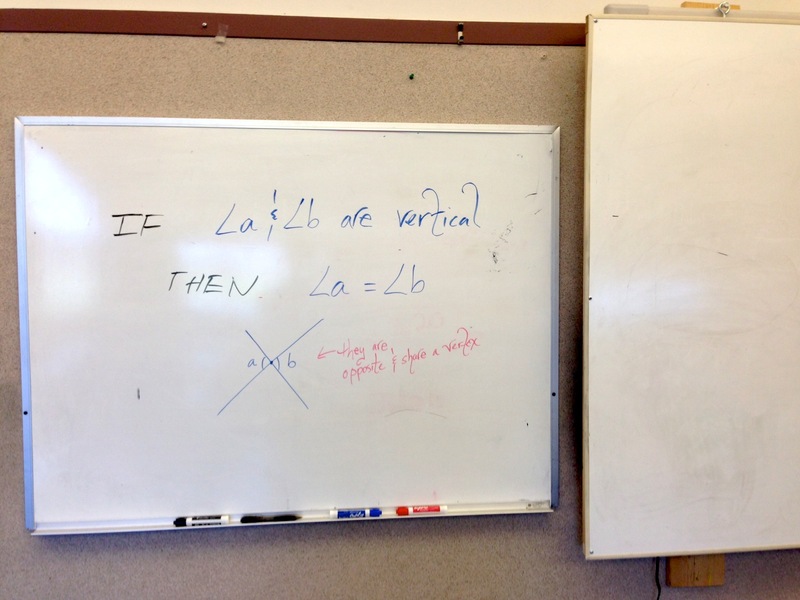 And probably most importantly – Having it already on the whiteboard reminds me to use it. “If angles a and b are complementary THEN a + b = 90” I am reinforcing the point that all we know is that the two angles add up to 90. 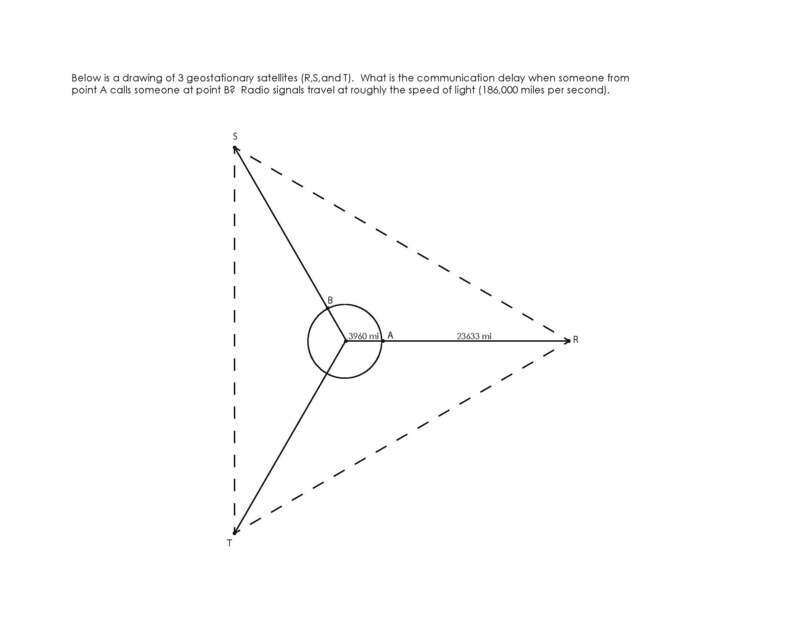 We don’t know where the angles are located, we don’t know if they are adjacent, we don’t even know how big they are, or what color they are… we just know that they add up to 90 degrees. I will categorize this post as “sometimes you just need a worksheet”. #SYJNAW for my twitter peeps. I have always kind of disliked teaching the circles unit in geometry because of all the different rules – tangent / secant angles, chord-chord sides, chord-chord angles, blah blah. This year I put together a learning segment on circles that involved satellites in geostationary orbit. It was based on my experiences working at Lockheed Martin and my engineering background. I will write about it when I have time. 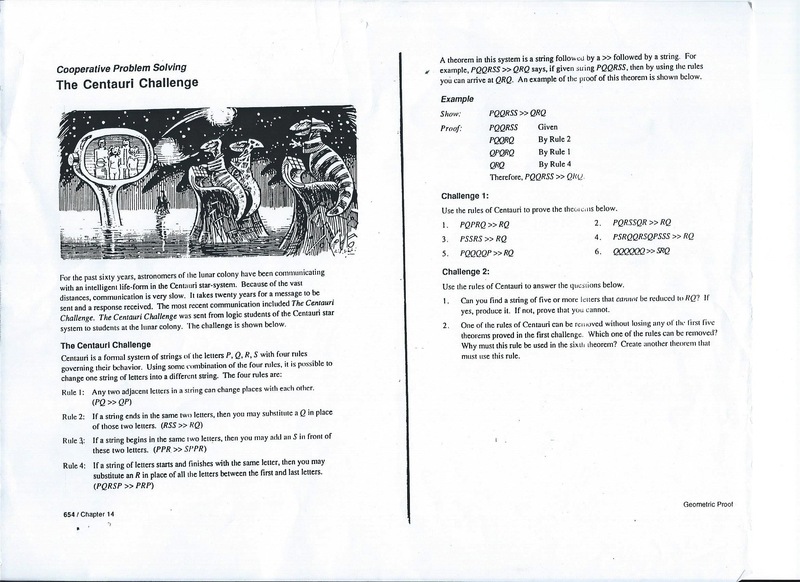 But for now I will just attach a couple worksheets I made of problems that I put on a homework, or threw in a test. 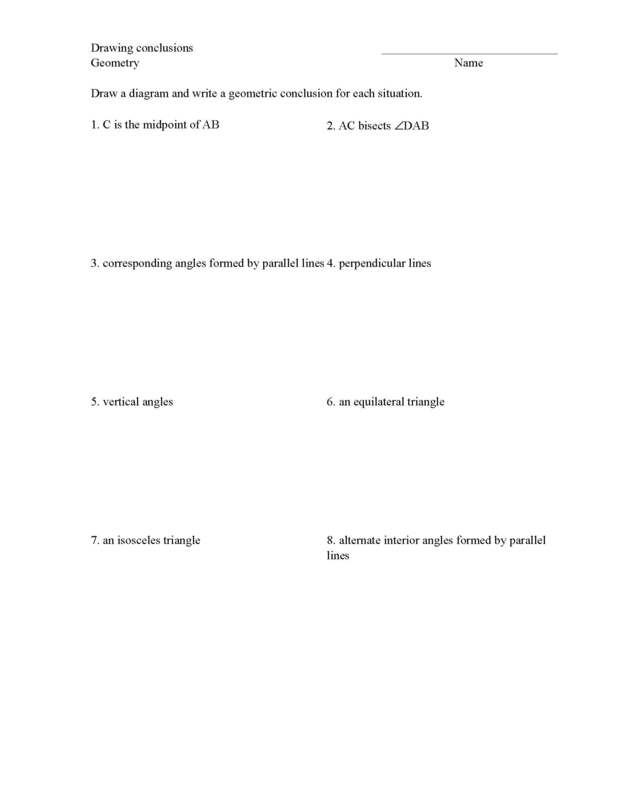 I figured I would just share these, because you know… some times you just need a worksheet. 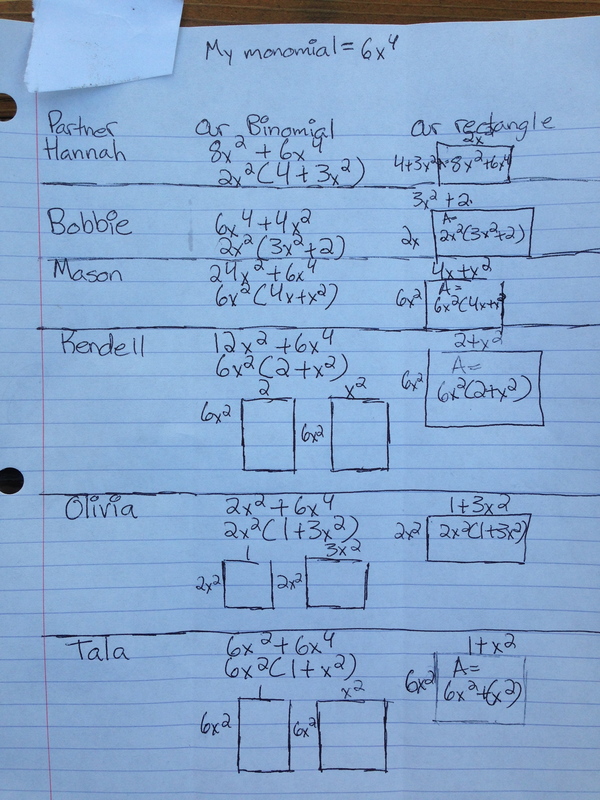 This year I am teaching algebra and geometry again – new school, same subjects. I have decided to do no introduction or ice breaker activities. No syllabus on day 1 (which I never have done) either. Last year I did the straw bridge challenge and I loved it and definitely recommend it. But I am scrapping it this year due to the time constraints of focusing on CCSS in a district that is still giving the STAR test. So I choose these two activities for their more direct relationship to standards I must teach, as well as their low entry point and interesting hooks. Day 1 in algebra is going to be my Getting to Vegas problem, which is simply a personalization of a problem Dan Meyer describes here. When I was living in Forestville some friends and I decided to go to Vegas. 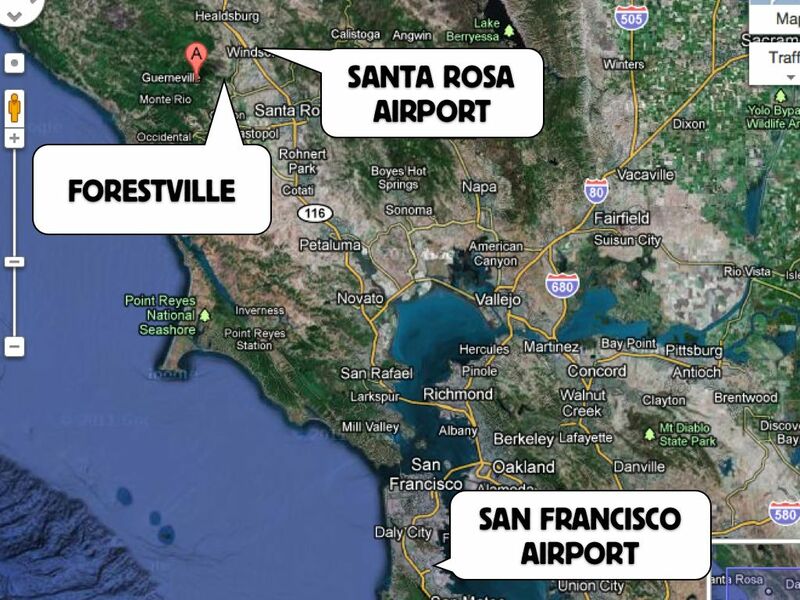 There are two airports that we could have used – the smaller local airport in Santa Rosa, or the larger airport in San Francisco. Which airport should I have took, or will I take next time? I have screen grabs of all relevant information in the slides. A couple extensions: How long would the Vegas trip need to be in order for the Santa Rosa airport to be cheaper? (Eventually the more expensive parking at SFO takes over). Or Dan’s scenario of taking a shuttle from Santa Rosa to the San Francisco airport vs. driving directly to San Francisco. 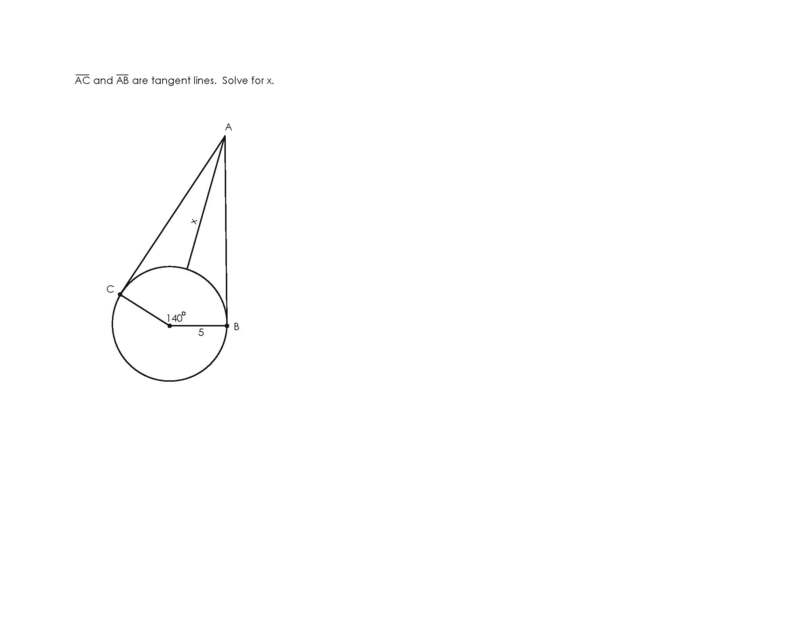 In geometry I’m starting with Dan’s Taco Cart problem. I am just going to go to keep it as Dan vs. Ben, because I am a bit intimated on day1 to follow Fawn’s more interactive implementation allowing students to choose their own paths. This is an exercise with the Pythagorean Theorem, which is great for day 1 because they have all seen it before.